Ohio courts typically decide child custody issues, called parental rights and responsibilities, as part of the Ohio divorce process. Final custody arrangements are often not ordered until the court issues the final divorce decree. If you and your spouse cannot agree on a mutually satisfactory custody arrangement to use until the court issues its decree, either of you may ask the court for a temporary custody order. Once you begin your divorce process, the divorce court has authority to enter a temporary custody or support order to be in effect while the divorce is pending; however, such orders are not automatic. To obtain a custody order, you must file a motion with the court or include your request in your initial divorce complaint, along with a plan for custody. If you and your spouse agree on the custody arrangement, you can file the motion and plan together, but if you don’t agree, each of you must file separate motions and separate custody plans. If you and your spouse agree, the court likely will approve your plan as proposed. Even so, the court’s ultimate goal is to determine what is in the best interests of your child, so Ohio law gives the court authority to investigate as needed to determine the child’s best interests. The court may look into the parents’ earning ability, past conduct and family relations, and order you and your spouse to submit to medical, psychiatric and psychological examinations to help it reach a decision about what arrangements are in your child’s best interests. Ohio courts can award all parental rights and responsibilities to one parent, called the sole residential parent and legal custodian. If you are have sole residential and legal custody, you make the important decisions for your child, including where he goes to school, what medical treatment he receives and whether he attends religious services. Your ex-spouse will have no authority to make these decisions. In the alternative, the court may grant the rights and responsibilities of parenting to both parents, which is called shared parenting. In Ohio, the court cannot award shared parenting unless at least one parent requests it and files a shared parenting plan with the court. Shared parenting does not necessarily mean you and your ex-spouse have an equal, 50/50 division of time with your child. Some shared parenting plans give parents equal physical time with their child while other plans may give one parent a greater share of time and the other parent custody on alternating weekends and one or two evenings during the week. When parents divorce, many prefer to arrange for joint custody of the children when possible. In Ohio, this is officially called “shared parenting,” but many of Ohio’s shared parenting guidelines are similar to other states’ joint custody laws. Ohio’s laws were rewritten in 1991 to allow the court to order shared parenting even if one parent objects to the arrangement. When you divorce, the court has authority to order a custody arrangement for your family, but you and your spouse can design your own parenting plan for the court to consider. State laws govern divorce and all issues pertaining to divorce, including child custody and support, so laws can vary from state to state. In many states, custody and the amount of time a child spends with each parent is factored into the calculation for child support. 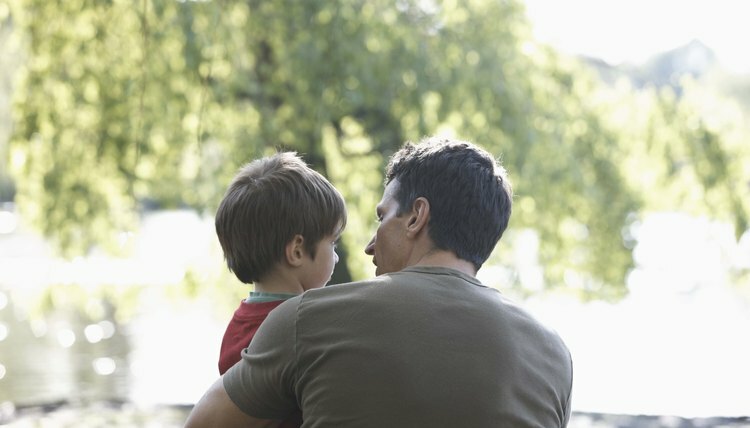 What Does Sole Custody Mean in Tennessee? Divorce is never easy, especially when children are involved. Whether you're negotiating custody with your soon-to-be ex or petitioning the court directly, it's important to know the different forms of custody available, the rights and responsibilities that come with each, and the factors a judge considers when awarding custody. If sole custody is your ultimate objective, a Tennessee court will evaluate whether this arrangement is in the best interests of your child.